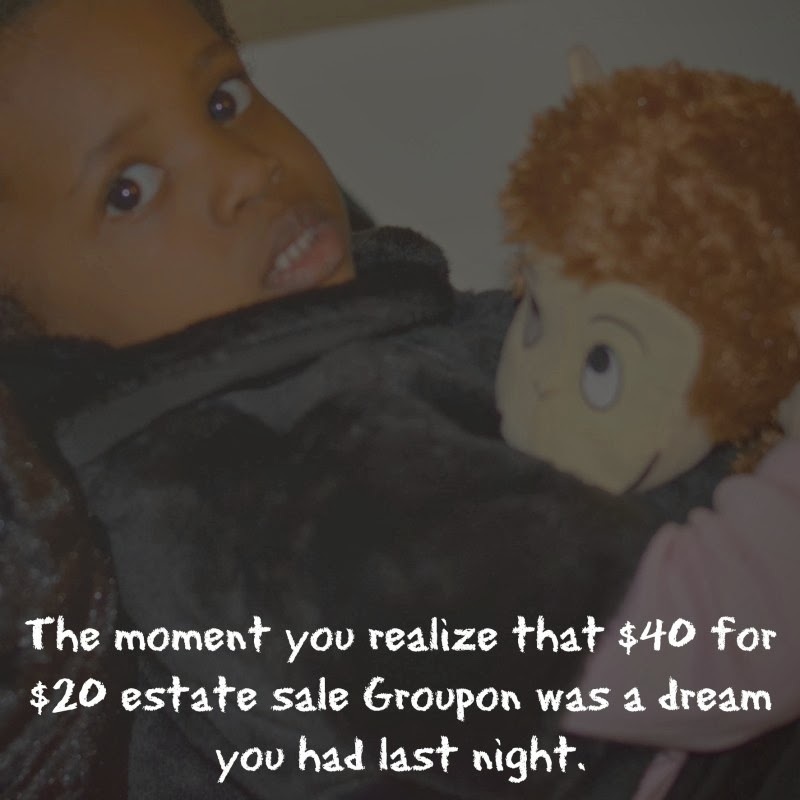 I love a good meme so I created a few that only us thrifters would understand. 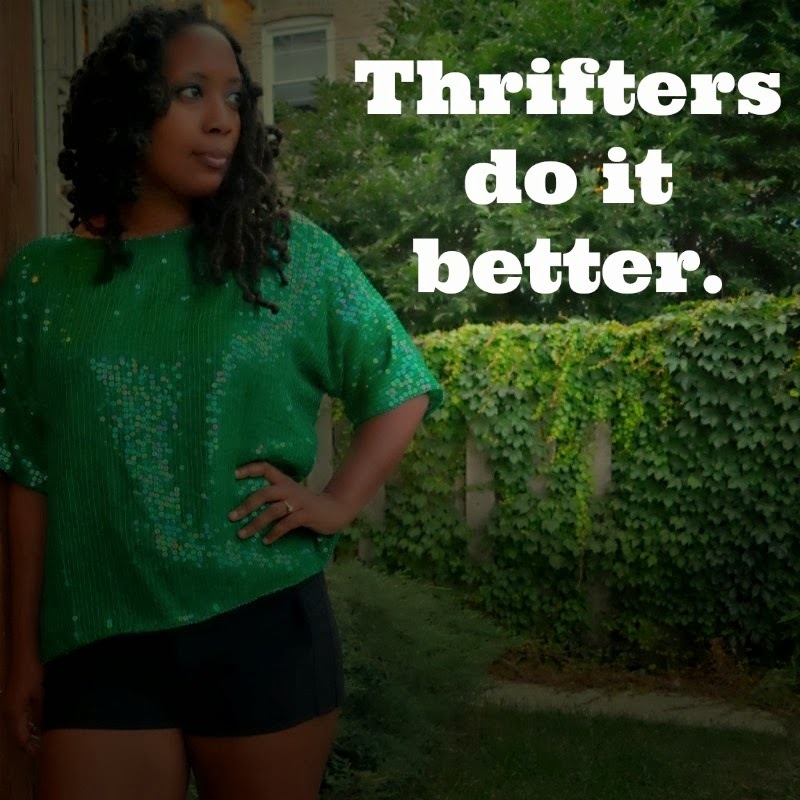 This is also a mini Thriftanista takeover. Happy Friday! Thrifting makes me giddy. 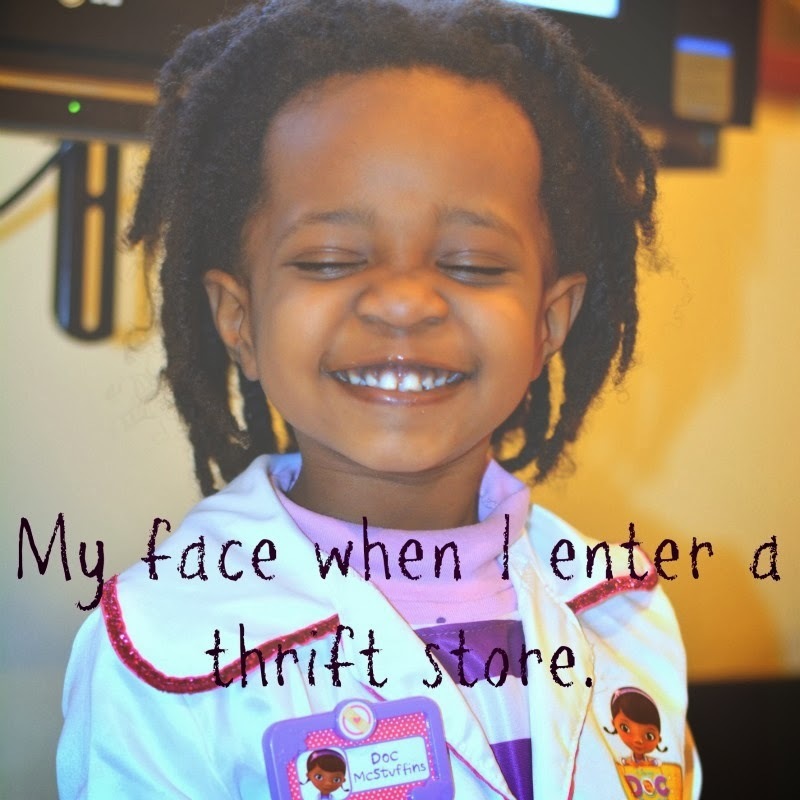 I get butterflies in my stomach when I'm on the way to the thrift store. I guess that means I. Love. It. 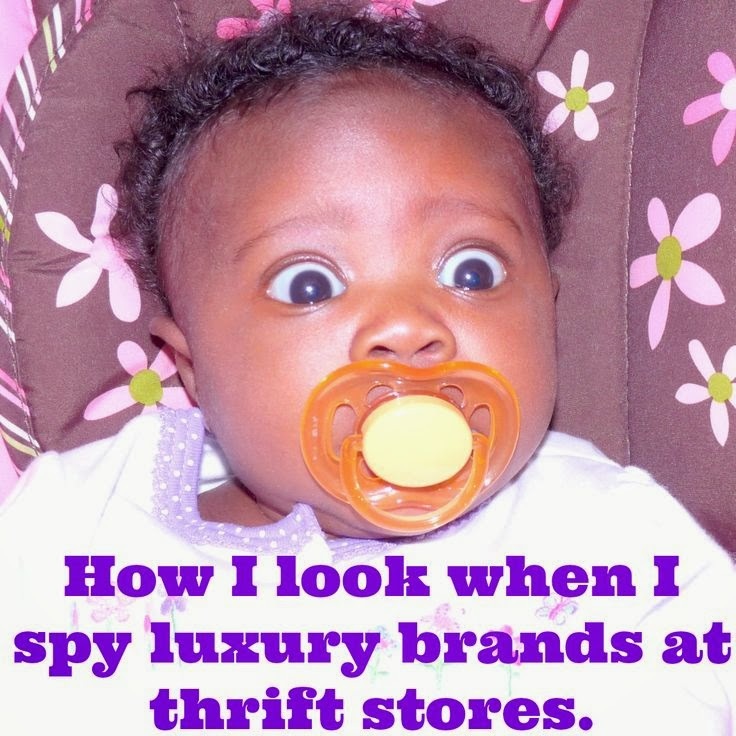 I don't even mind the occasional thrift store aroma. Whenever you decide to do the responsible thing and stick to a budget a wave of regret pops up. Sometimes it sinks in right away and other times it's in the wee hours of the morning. If you're lucky, your treasure could still be there but probably not. My story: A stalker was watching and waiting. I put a really cute red leather jacket back on the coat rack and all I saw was a hand swoop down grab it and rush away. It still stings. You snooze. You lose and then the non-buyer's remorse sets in. That urge to thrift usually creeps up on me when I'm folding laundry or cleaning toilets. What about you? I'm always shocked when I see a designer find in great condition. How did Prada, Bottega Veneta, and Coach bags with retail prices from $500 to well over $1K end up in the donation pile? I'm even more surprised when it's in for-profit thrift store! I didn't have a case of non-buyer's remorse this week. I splurged on a $15 vintage coat thanks to the enablers on facebook and instagram. Hahahaha, these are totally spot on! 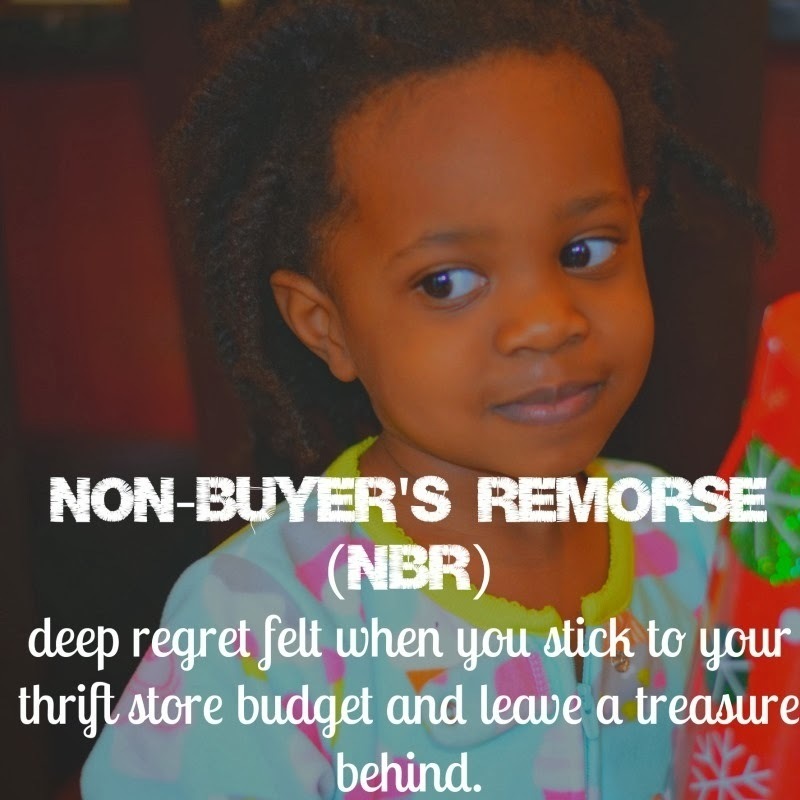 Especially Non-Buyer's Remorse and the luxury brands face! 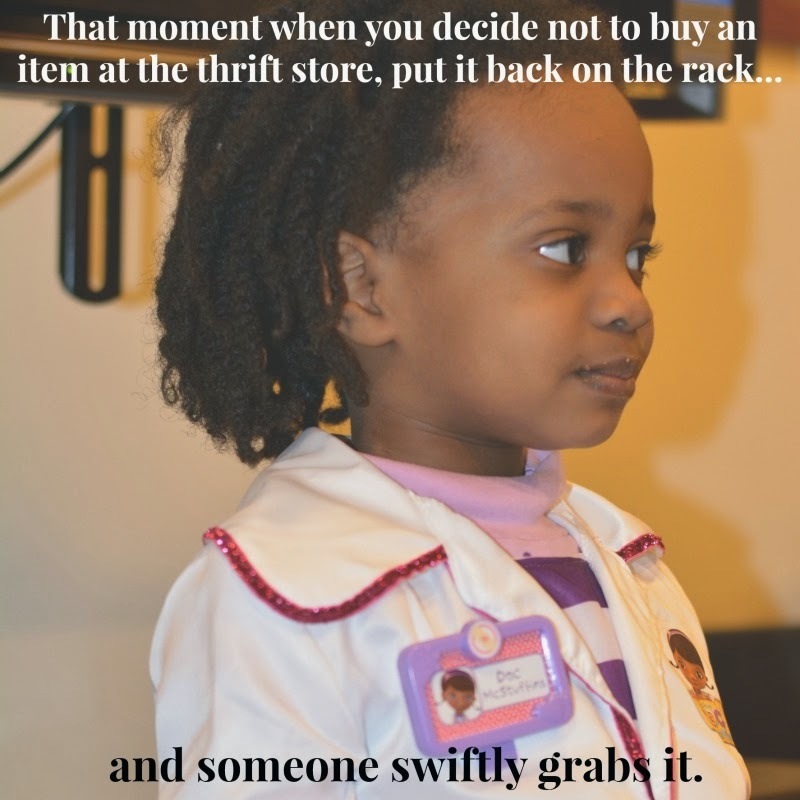 That happened to me with a pair of sandals ($12 for thrift store shoes and they were not NWT. WTF.) I REALLY wanted them. Two months later they were back! I found out why, they are way uncomfortable but so pretty to look at. i get over it! !..I love your daughter expression she such a mini you...thrift on my sister thrift on. Oh my goodness...I love these!! 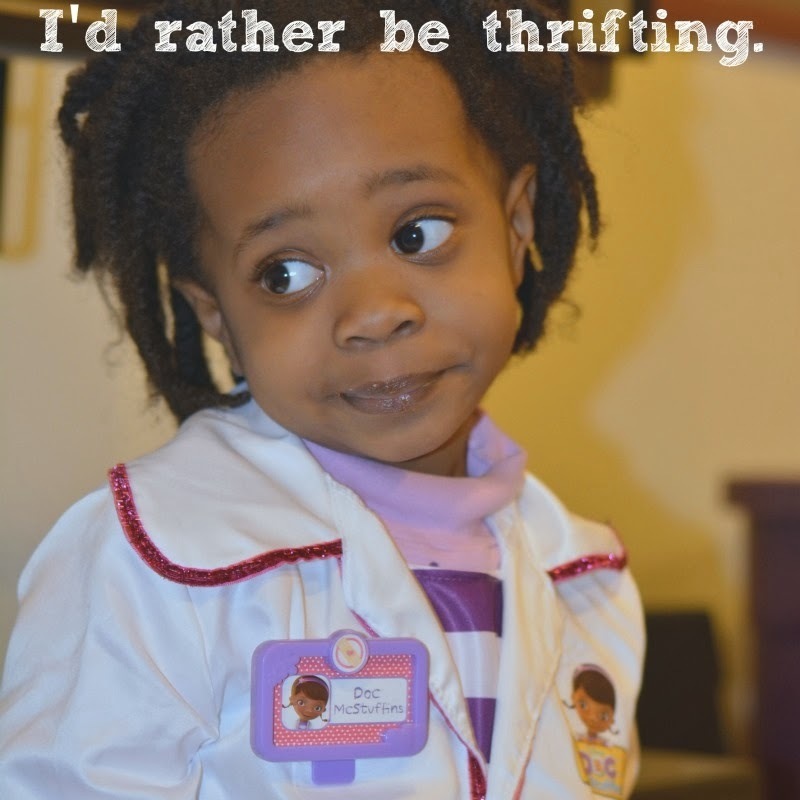 My faves are I'd Rather Be Thrifting and Luxury Brands At Thrift Stores!! V is spot on...A Star is Born! !